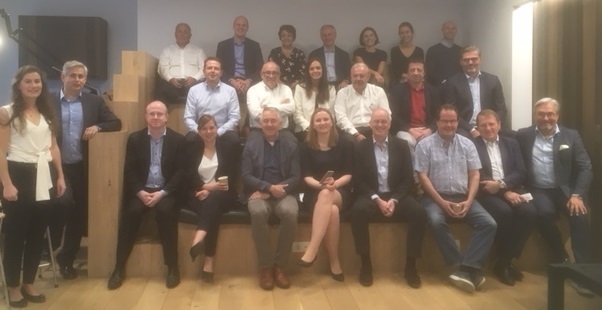 The new Board of Freshfel Europe met in Brussels on 5 October and 23 October in Madrid under the leadership of its new President Mr. Stephan Weist. As the new Board got together, it made a review in a brainstorming session how to best adapt the Association’s activities to the day to day operational challenges of the sector and to best meet the evolution of societal concerns and consumers expectations. The Board identified various priorities for the coming months. Matters relating to sustainability (UN Sustainable Development Goals, plastic strategy, reduction of the use of PPPs) will dominate the agenda of the Association as well as trade hurdles (market access issues both ways) and other matters relating to plant protection or plant health. Promoting the healthy benefits of fresh produce will also be high on the Freshfel agenda with the first ever EU co-financed promotion project coordinated by Freshfel beginning in January 2019 and the follow up of the DG SANTE Thematic Network to stimulate consumption of fresh fruit and vegetables. Finally, Research and Innovation as well as new technologies (New Breeding Technics) will also be part of the issues to be closely followed by Freshfel for the benefit of the whole European fresh fruit and vegetables supply chain. 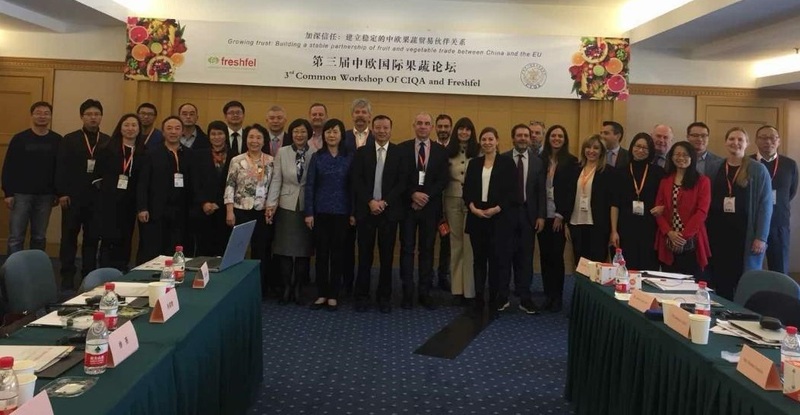 Freshfel Europe held its 3rd common workshop with the Chinese Inspection and Quarantine Association on market access for fruit and vegetables on the 18th November 2018 in Beijing, China. 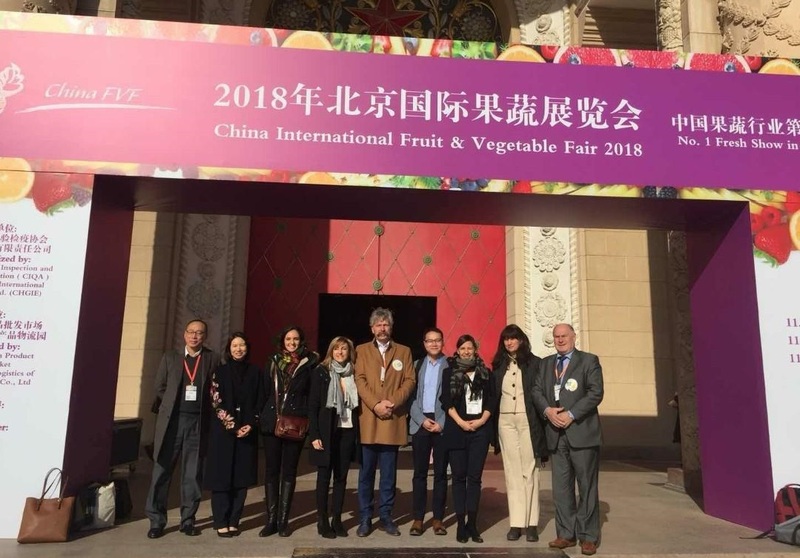 The workshop, entitled Growing Trust – Building a stable partnership of fruit and vegetable trade between China and the EU, was held in the margins of the China Fruit and Vegetable Fair. The workshop focused on the current administrative reform and its impact on pending market access dossiers for fruit and vegetables. Among high ranked speakers, Ms. Lou Junwen, Deputy Director General of the Department of Animal and Plant Quarantine of the General Administration of Customs (GACC), explained the newly formed structures and promised swift progress on pending matters, now that the reform has been concluded. Further, Mr. Wang Jungbing, Vice-President and Secretary General of CIQA, comended the good cooperation of the past 3 years and gave an outlook for our future cooperation on common matters such as the ‘belt and road’ initiative, which could bring China and EU fruit and vegetable trade closer together. Other speakers of the meeting included Mr. Tang Deliang from GACCm, and responsible for the access of vegetables Ms. Dong Chunhua from the Dalian Customs division and Prof. Guo Lisheng who co-chaired the meeting together with Freshfel Europe. The meeting was further supported by the EU Delegation, where Dr. Gudrun Gallhoff, the new Minister Counsellor for Health and Food Safety at the EU Delegation in Beijing gave an excellent explanation on the current reform on official controls. The meeting was followed by a debriefing session at the EU Delegation together with member state representatives. Freshfel Europe secretariat was accompanied by a delegation from its members in Italy, France, The Netherlands and Belgium, while also representing the interest of its Spanish, Greek, Polish and German members. Over the past few months Freshfel has been finalising its 2018 Thematic Network Joint Statement as part of the work of the EU Health Policy Platform coordinated by the European Commission. With the full Joint Statement to be published on the EU Health Policy Platform in mid-December, Freshfel presented the progress of the development of the Joint Statement at various high level EU meetings in October and November. Freshfel’s Policy Advisor and Communications Officer Nicola Pisano presented the work of Freshfel and collaborating agri-food and health stakeholders at the meeting of the EU Platform for Diet, Physical Activity and Health in Luxembourg on the 26 October and at the annual EU Health Policy Platform meeting on 12 November where Freshfel’s General Delegate Philippe Binard also participated in a panel discussion on the work of the EU Health Policy Platform. As part of its research for the Thematic Network Joint Statement, Freshfel additionally attended the 2018 EGEA Conference in Lyon on the 7-9 November. The EGEA Conference is held every few years to share the latest scientific research on fruit and vegetable consumption and health. 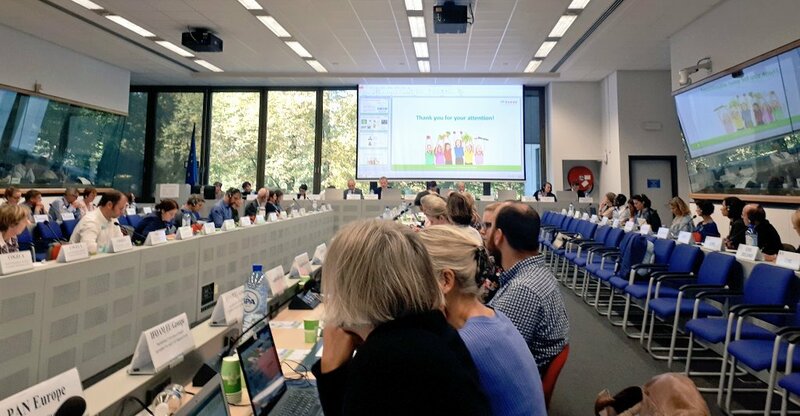 On the 11 October Freshfel Europe attended the Joint Meeting of Member States and Stakeholders on the EU School Fruit, Vegetable and Milk Scheme in Brussels. The objective of the meeting was to discuss amongst Member States and stakeholders a year after the new scheme’s launch what was achieved, learnt from good practices and to provide an opportunity for open reflection on possible improvements to be implemented in the years to come. With over 100 participants attending, presentations were given from Austria, Poland, Ireland, France and Italy on best practices and areas for improvement. 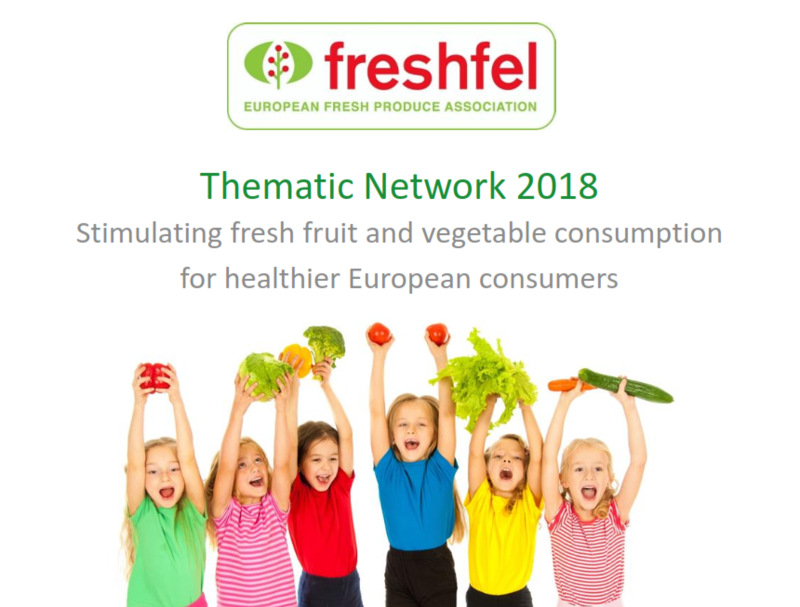 During the meeting, Freshfel’s Policy Advisor and Communications Officer Ms. Nicola Pisano gave a presentation on the progress of Freshfel’s 2018 Thematic Network, highlighting the inclusion of the continuation of the EU School Scheme as a recommendation in the Joint Statement as a necessary action to stimulate fruit and vegetable consumption and prevent the onset of non-communicable diseases. All presentations and a recording of the meeting are available here. On 4 October Freshfel’s Trade Policy Advisor Ms. Natalia Santos-Garcia Bernabe held a meeting with the officials of the Brexit Preparedness Group from the Secretariat General of the European Commission, who are responsible for the “preparedness” work needed in the light of the UK’s imminent departure from the EU. The meeting enabled the clarification of a number of key elements related to the Commission’s approach to preparedness. First, the Group explained its mission, which relates to two paths of action: ‘preparedness’ (measures to be undertaken whatever scenario becomes a reality, simply because of the UK’s departure from the EU), and ‘contingency’ (actions to be undertaken under the worst case scenario of a ‘no deal’ Brexit). The Commission officials highlighted that they are closely cooperating with those Member States sharing a ‘border’ with the UK. They also confirmed that, in the event that a ‘no deal’ scenario would become imminent, more precise guidelines for both Member States and stakeholders would be provided ahead of 29 March 2019. During the meeting, Freshfel outlined the actions undertaken by the association in the past months to prepare for all outcomes of Brexit, including the development of an evaluation Working Document, the outreach to officials both in the UK and the EU/Member States side, as well as awareness raising among its membership. Freshfel Europe presented at the biannual Expert Group on Apples and Pears on the state of the European apple market, particularly under pressure this year due to high crop yields around the EU including in the leading producing country Poland, still affected by the Russian embargo. Climatic conditions are also affecting sales during September and October. Due to the exceptional market circumstances and structural concerns, the Freshfel secretariat together with its representatives from Poland, Belgium, Italy, France and the Netherlands also met with Mr. Jerzy Plewa, the Director-General of DG AGRI, to evaluate the current situation, its future outlook and review with the Commission services actions that should be considered to mitigate the situation and seek a balanced market. 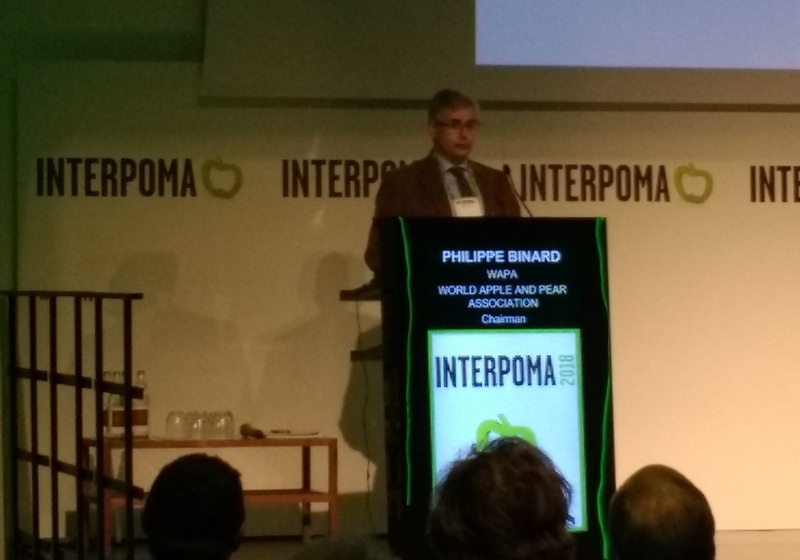 On a broader picture, the evolution of apples crop worldwide was at the centre of the International Apples Seminar during the Interpoma fair in Bolzano taking place this year from 15 to 17 November. Freshfel’s General Delegate chaired the session which looked in particular at the evolution of production in the EU, its immediate Eastern neighbourhood as well as further East to India and China. Production in the immediate Eastern neighbourhood was one of the points raised and which could lead to additional challenges for the European apple production. The European Parliament, European Commission and Council of the EU are currently holding trilogue negotiations over the Unfair Trading Practices file, discussing amongst other aspects the scope of the proposed Directive and the many amendments proposed by the Parliament. At present, the scope is still under discussion, with the Council and Commission sticking to their proposed SME vs non-SME approach, and the Parliament insisting on extending the scope to all economic operators, big and small. Regarding the amendments, the Parliament has agreed to drop the amendments that would have prevented retailers from setting higher standards regarding animal welfare and pesticide reduction. Freshfel has proactively followed the process closely, from the inception of the proposal in the European Commission to its current tripartite negotiations, with papers and outreach to the institutions. Additionally, Freshfel contributed to another initiative by the Commission on Market Transparency. Among voices asking for more transparency along the complete supply chain to improve the position of small farmers, Freshfel highlighted the particular situation of the fresh fruit and vegetable chain with its high diversity and warned against a simplistic narrowing of focus to only price and volumes. The full paper can be accessed here. Recently Freshfel Europe has continued to closely follow the developments of the EU Plant Health reform together with its members and in close contact with Commission officials. In particular, Freshfel’s Secretariat has coordinated the drafting of a response to the public consultation on the new Draft Implementing Directive amending Annexes I to V of the Council Directive 2000/29/EC, which introduces new requirements to avoid the introduction of harmful organisms into the Union. In the response, Freshfel Europe welcomes the overall objective of the upcoming reform to protect European production from pests and diseases while respecting the freedom to trade. Moreover, Freshfel asks for a number of clarifications on the specific meaning of some of the amendments in order to enable adequate compliance with the legislation. A call is also made for clear timelines of implementation, close engagement and information-sharing on the changes with partner countries, and the need for an upgrade in Europyt reporting. Freshfel General Delegate represented the fresh fruit and vegetables sector in the second SPS seminar organized by the European Commission, after the first successful event in Seoul (South Korea). This second seminar took place in Teheran to build on the 2017 visit of Commissioner Hogan in Iran. The seminar was the opportunity to review current trade obstacles and other the market access conditions and also identify opportunities to build new business with Iran for European agricultural products. More transparency and trade facilitation in finance and logistics will be key for building business with Iran in the coming years. Philippe Binard, General Delegate of Freshfel Europe took part to the closing round table of the seminar. He also presented on the quality and specificities of the European fresh fruit and vegetables sector and its products offered on international market in a dedicated session on fruit and vegetables. EuroMix, the Horizon 2020 project that aims to create risk assessment strategies for mixtures of chemicals, held its biannual Consortium on 29-31 October in Berlin in the host’s premises of the German Federal institute for risk assessment (BfR). During the meeting, the consortium looked back on the past 6 months and its achievements. As the project is close to finishing (May 2019), the final steps of the project were discussed. Among the final deliverables is a final conference which Freshfel is helping to prepare on 26-27 March 2019. The conference is co-organised with EDC-MixRisk (a Horizon 2020 project aiming to develop tools to assess the impact of endocrine disruptors on health) and will have a joint session on 26 March 2019 during the morning. The afternoon of the 26 March and all day on the 27 March will be dedicated to separate sessions. Registration will open in January. The EUFRUIT project, the Horizon 2020 project which aims to bundle and disseminate the research efforts and outcomes of the network of fruit research institutes (EUFRIN), held its final conference in Bolzano on 16 November 2018, presenting the outcomes of the project to the wide array of participants who attended the conference and the three-day fair. The project also had a stand at the fair to disseminate the project developments. 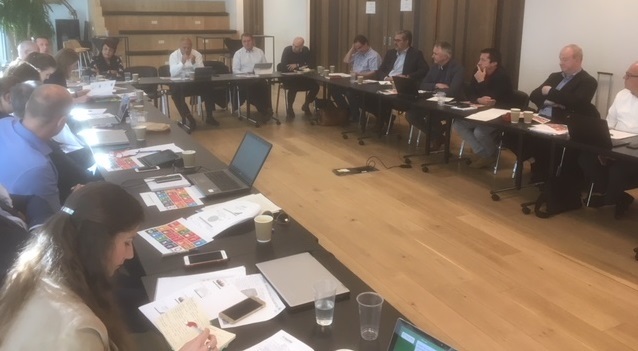 In the margins of the fair, the EUFRUIT consortium held its annual General Assembly and Executive Board, to discuss the continuation after the project after its end in March 2019. The Knowledge Platform, which is the online platform on which all the efforts are bundled, will continue to exist and be fed by the individual researchers. The project has 4 themes (new varieties, reduction of pesticides, improvement of quality and sustainable production) and each theme is linked to a team of researchers and industry stakeholders. As the project reaches its end, the group on reduction of pesticides, in which Freshfel is involved as a disseminator, published a paper on the state of play of research in reduction of pesticides in pomefruit, stone fruit and soft fruit within the European continent, which will be available soon.